Office paper, envelopes, printed matter, magazines, brochures, catalogues, directories, newspapers, shredded paper, etc. 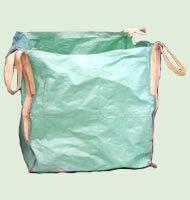 Tetra packs or other wax-lined items like fruit-juice containers. 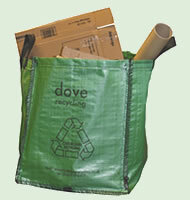 Polythene, cellophane, polystyrene or other boxed packaging. Any food or food-contaminated waste (i.e. banana skins, etc.). Please don't leave boxes assembled. 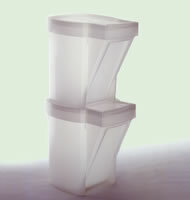 Stackable plastic bins made from 90% recycled materials. 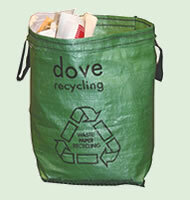 Deep collard lid, for use with or without liner bag. EMPTY drinks cans (separate bin). Clean, bulk quantity FLAT-PACKED cardboard. Supplied in packs of 10 + cable ties for security in transit. You call us when full, either each or all - and we'll collect. Paper only. Staples and paper clips are permissible. Lever Arch-type files, plastic sleeves/covers, manilla folders, file grips, rubber bands. 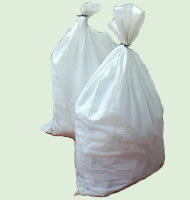 Bulk BAGGED recyclables, i.e. paper, brochures, loose flatted cardboard, etc. Loose anything! No loose papers, brochures, etc., or anything unbagged, please! 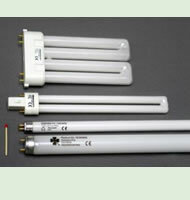 It is a legal requirement to dispose of fluorescent light tubes responsibly. 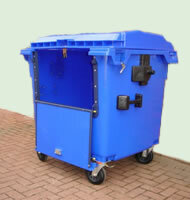 Councils will not collect these with general waste or domestic recyclate. Any items other than fluorescent tubes.